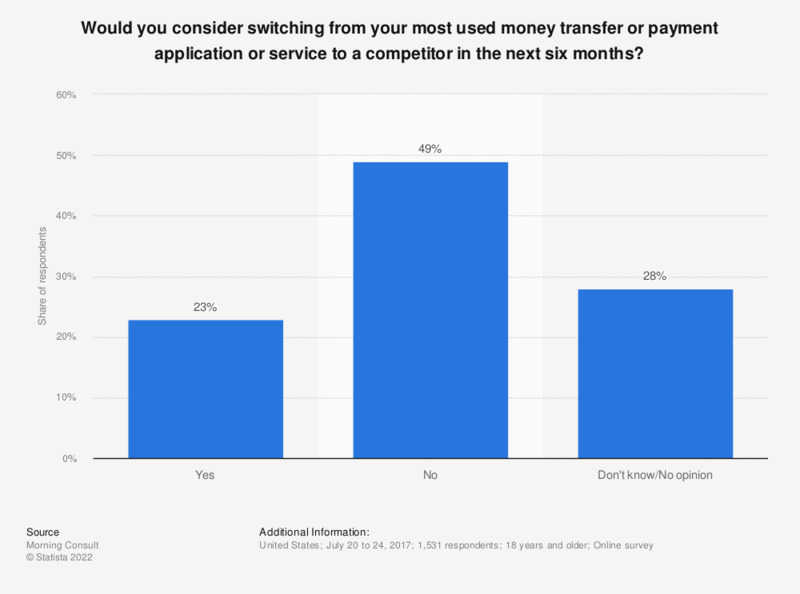 This statistic presents information on whether an surveyed adult in the United States would consider switching from their most used money transfer or payment application or service to a competitor in the next six months. According to the findings, 23 percent of respondents reported that they would consider such a switch, while 28 percent reported that they were uncertain. Original question: Would you consider switching from your most used money transfer or payment application or service to a competitor in the next six months?